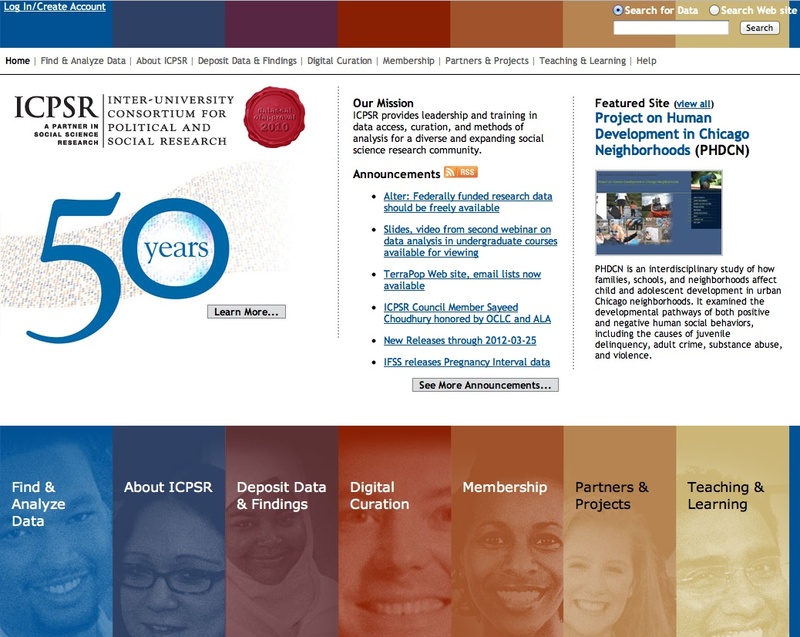 The ICPSR is a networked organization established in 1962, led by the University of Michigan, and made up of a consortium of more than 700 institutions, mainly universities, but also research institutes, colleges and processing data firms, directed by a scientific committee. It offers more than 500,000 statistical files and 6,000 related abstracts concerning many social and political science topics all searchable by issues, links/categories and multiple keywords. A section of the website is dedicated to 8 institutional research projects, ranging from urban studies to migration. Eurobarometer research series are also retrievable especially those related to the EU candidate countries, starting from 2001. Non-subscribers can get broad and rich-in-content materials provided with detailed meta-info. Affiliation is reserved to institutional partners by subscribing a time-bounded license; however, some kind of customized pay-per-use form is available by contacting the staff. Even though navigation may not be always intuitive, the search engine is very powerful and well designed, based on multiple keys along with a detailed list of links organized by topics. A simple but effective design enables a successful navigation, while a RSS Feeds subscription for the project’s news announcement is available. I am applying for a New Connections grant through Robert Wood Johnson Foundation, and would like to be able to access datasets on mental health, culture, multiculturalism, and helpseeking.